Inner circumference: 8" Inner Circ. This bracelet is perfect for a lady! 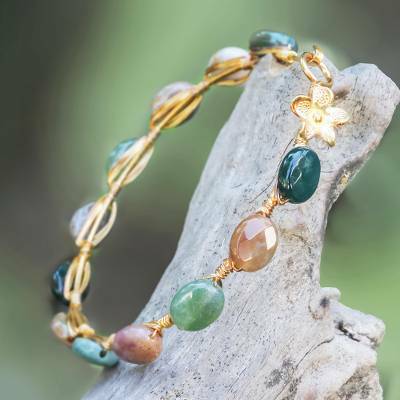 The different colors of agates, the flower clasp and the gold tone make this a beautiful piece of jewelry. Reminds me of a scarab bracelet I had years ago. "You will love this bracelet!" "the bacelet is so unigue no two are a like "